In order to keep in touch with your customers or vendors, we have their addresses attached to the contact name. However your customers could be having multiple addresses. For example, your vendors/customers could be having multiple branches. So you would need to insert those addresses for record purpose. 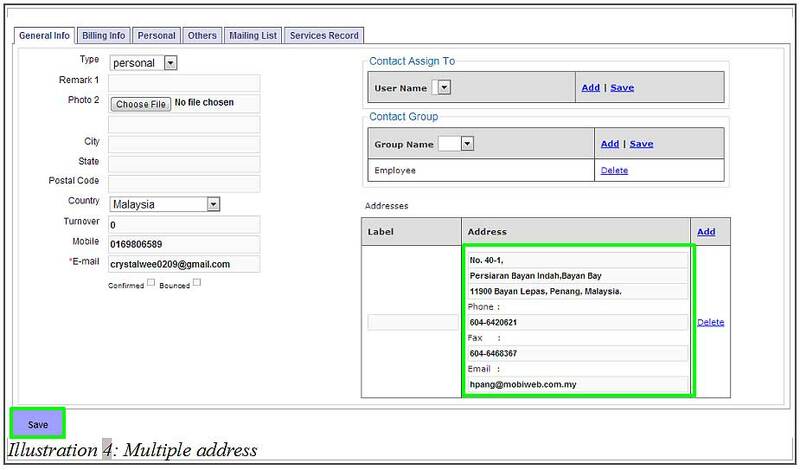 In this tutorial, we will guide you on how to assign multiple address to a contact using BMO Online Inventory System Malaysia. 1. Firstly, go to Contacts > Contact List. 2. You will be redirected to a Contact List page. From there, click on Edit to assign multiple address to contact. 3. Now, you are able to add in the address in Addresses. Click on Add when you want to add an address. Afer adding, click Save to update the contact’s detail. 4. A notification message will pop up to inform you that the contact’s detail has been successfully updated.